With less than one week until the July 31 trade deadline, the Yankees have already made possibly their only big move acquiring relievers David Robertson and Tommy Kahnle as well as third baseman Todd Frazier in a seven-player deal with the Chicago White Sox. In one deal, Yankees’ GM Brian Cashman bolstered the bullpen, and added a player to help produce at the corner infield positions. Despite that, one area of need that has yet to be addressed is the starting rotation. 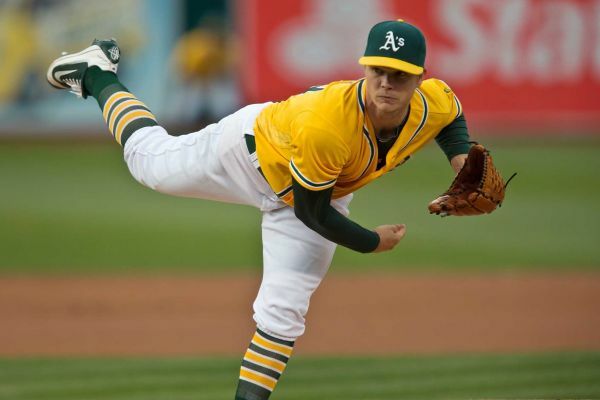 The Yankees have been linked to a number of different starters and most notably Sonny Gray. Gray would be a huge addition to this rotation and with his team control through 2019, the Yankees must acquire Gray if they intend on being serious contenders this season. The Yankees’ rotation has by no means been exceptional to this point, but they have not been horrible by any means. The Yankee rotation has combined for a 4.11 ERA, which ranks 11th in all of baseball, a .253 BAA, good for ninth in baseball, and they are also seventh in strikeouts, and have walked the second least amount of hitters as a staff. All this in mind, it’s pretty crazy to think the Yankee rotation has been as good as it has been with Masahiro Tanaka struggling mightily for most the season. Tanaka, 28, entered this season looking to show his ace stuff in a opt-out year in his contract. Nevertheless, that just has not been the case for the former Yankee ace. This season has been Tanaka’s worst as a pro by far as he’s 7-9 with a 5.37 ERA, 1.34 WHIP, and a league leading and career high 26 home runs allowed. He also does not factor too well in advanced metric statistics this year with a 4.91 FIP, 86 ERA+, and a 0.4 WAR. To put that in perspective, Tanaka boasted a 3.51 FIP last season, 143 ERA+, and 5.4 WAR en route to finishing seventh in the Cy Young race. Tanaka has failed in being the Yankee ace this season, which has allowed youngster Luis Severino to step into that role. Severino, 23, has emerged as the Yankees ace, and he was rewarded in making his first career All-Star appearance this year. After a disastrous 2016 season that had many people claiming he belonged in the bullpen, Severino has come out with a vengeance in 2017 with a 6-4 record, 3.21 ERA, 1.11 WHIP, and 3.7 WAR. He also boasts a 3.03 FIP, 144 ERA+, and he has 136 strikeouts with just 30 walks in 120.2 innings. Additionally, hitters have been held to just 12 homers and a .230 batting average off Severino this year. While Severino has led the charge, CC Sabathia and Jordan Montgomery have also pulled their weight. Sabathia just turned 37 and he has found the fountain of youth in 2017 as he is putting together his best season with the Yankees since 2012. Sabathia has been a stopper all season with a nice 9-3 record, 3.44 ERA and 1.28 WHIP. He’s also held hitters to a .235 average and has allowed just nine home runs. 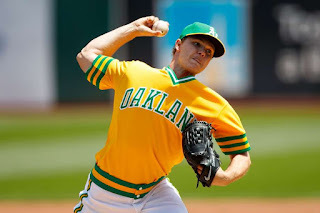 As for Montgomery, the rookie lefty may finish second in the AL Rookie of the Year voting behind Aaron Judge as he is 6-5 with a 4.09 ERA, 1.27 WHIP, and 2.91 strikeout to walk rate. He’s struggled in the month of July with a 6.41 ERA after posting a 2.59 ERA in June. Still, these two lefties have done their part in the rotation. Despite the excellent production from three starters and spot reserved for Tanaka, the Yankees have a hole in the fifth spot of the rotation. The team recently lost Michael Pineda for the season to Tommy John Surgery, and although he started his season very strong, he was regressing heavily before his injury. Pineda opened the season as the team’s third starter, and the Yankees have yet to find a viable replacement. The team has used spot-starters Luis Cessa was subpar results, Bryan Mitchell with unimpressive reviews, and rookie Caleb Smith who has yet to show the ability to pitch more than two effective innings in the bigs. There have been recent reports that Chance Adams will not be an option in the rotation this season as he is developing his third pitch and is on an innings limit. So, the Yankees could upgrade in a big way by acquiring Gray from Oakland. Let’s take a look at five reasons why the Yankees should go out and get Gray. 1. He’s putting together a great bounce-back year, and the fourth solid season in five career seasons. This season, Gray has been one of the league’s most notable bounce-back players with a 6-4 record, 3.66 ERA, 1.18 WHIP, and .230 BAA, with only eight homers allowed. Though he has a questionable injury history and some inconsistencies, Gray is the perfect fit for the New York Yankees. For starters, Gray has top-line potential. It was not long ago that Gray finished third in the Cy Young voting in 2015 with a 14-7 record, 2.73 ERA and 1.08 WHIP. Though Gray may not be a perennial Cy Young candidate, his numbers this year are very much in-line with his career numbers, and he is showing that this may be who he truly is as a solid number two starter with ace-upside. To highlight this, look no further than his 1.18 WHIP (1.20 career), 7.8 hits per nine (7.9 career), 0.8 homers per nine (0.8 career), 2.8 walks per nine (2.8 career), and .230 BAA (.235 career). Gray has also elevated his strikeouts per nine from a 7.6 K/9 rate before this season to an 8.4 K/9 this year. In fact, Gray is even showing that last season was simply a negative outlier in his otherwise stellar career. Gray has even shined the brightest with the scouts on him. In three starts in July, Gray is 3-0 with a 1.96 ERA, 0.93 WHIP, and 16 strikeouts in 18.1 innings. This production has likely raised his value, but he is already a hot commodity on the trade market with many clubs interested. 2. His injury history is quite overblown. Prior to 2016, Gray did not endure any major injuries, and it allowed him to throw 200+ innings in both 2014 and 2015. However, Gray battled through some injuries in 2016 landing him on the DL twice with a strained right trapezius and later, a strained right forearm which really hurt his season numbers last year. Unfortunately, he carried his injury plagued 2016 into this season, but is quickly putting that behind him. Gray started this season on the DL with a strained right shoulder, which was a tough blow for the righty. It was Gray’s first significant arm injury and it came at a time where many questioned whether he could regain his ace-stuff. Gray has since silenced his critics this year after only missing the first month of the season, and he has rebounded very nicely this year, as previously mentioned. Now, when you compare Gray’s injury history to Jose Quintana’s, there is no comparison (Quintana has thrown 200+ innings every year since his rookie year). For this reason, the Yankees liked Jose Quintana more than Gray and the Yanks were very much in on Quintana until he was dealt to the Cubs. 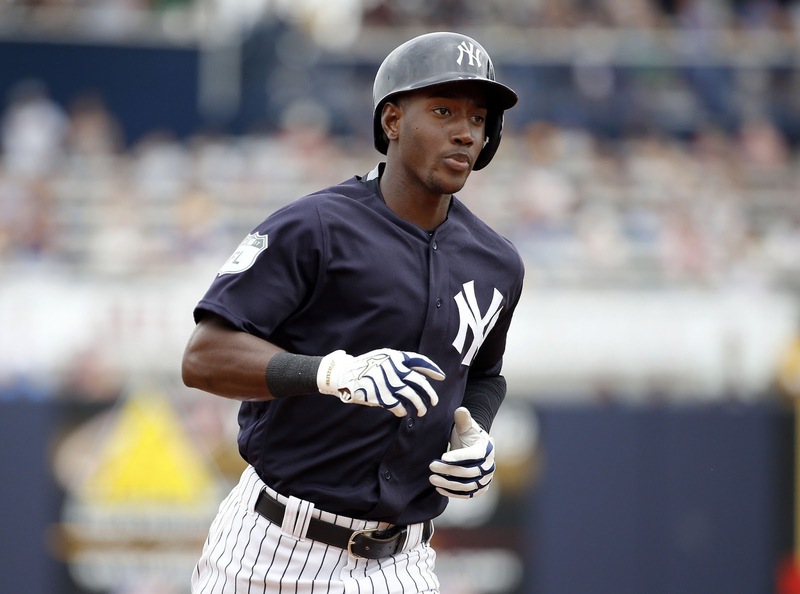 The Yankees do have concerns with his injury past, and they are also not as high on him due to his numbers last year. But, last season should be a non-factor, because it looks like an outlier for a guy who would fit perfectly in Yankee Stadium. 3. He is the perfect pitcher for Yankee Stadium. Since entering the league, Gray has been a ground ball pitcher, which fits perfectly in Yankee Stadium. In fact, his 55.3% ground ball rate ranks as the eighth highest this season among pitchers who have thrown 90 or more innings. That is one reason he has allowed just eight homers this season, which ranks as being tied for the fourth lowest among pitchers who have thrown at least 90 innings this season, and is a factor in the low .230 BAA off him. 4. The Yankees are interested in long-term assets, and Gray fits the mold as a controllable starter. 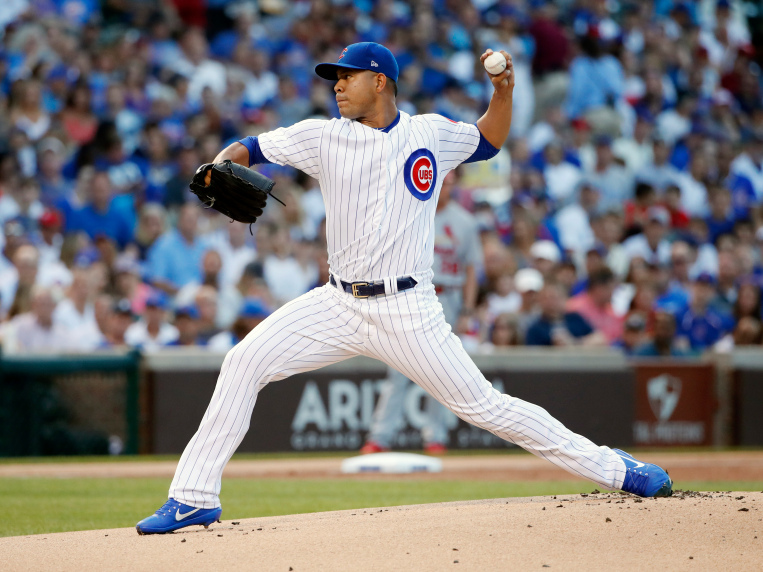 Quintana’s team control through 2020 was one of the most appealing aspects for the Yankees. And Gray is in the same boat, as he is controlled through the 2019 season. The Yankees are looking to compete now, and also in the years to come, so having a pitcher who can help now, and in the next few seasons plays to their advantage for obvious reasons. Moreover, the Yankees have three starters who could hit free agency this winter. With Pineda as good as gone, the Yankees will also be monitoring whether Tanaka opts out or not, and they will also seriously consider resigning Sabathia to a short term deal. 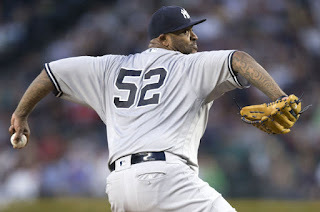 The big lefty has expressed interest in returning for a few more seasons, and the Yankees would be his preferred destination. This year's free agent class of starting pitchers is less than impressive with Jake Arrieta (who I don't trust whatsoever for a long deal), and Yu Darvish as the top-tier guys on the market. From there, the market contains mostly back end-rotation options. Shohei Otani could also be posted, and in which case, the Yankees would pursue him, but that has yet to be determined. With that in mind, having Gray as an insurance policy for next year would allow Severino and Gray to hold down the top of the rotation in the event that at least two of them left. 5. 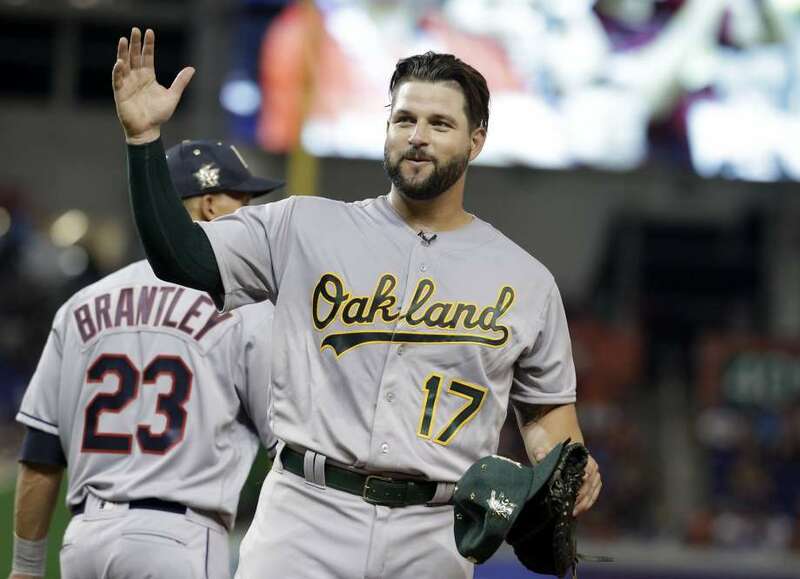 The Yankees can package Yonder Alonso in a deal for Gray. Obviously, the Yankees do not need Yonder Alonso, but the All-Star left-handed stick would provide some more thump in the Yankees’ lineup. The Yankees have been lacking power at the corners all year and as they wait for Greg Bird to return, they may go after Alonso. Alonso, 30, is a free agent at the end of the season and due to his lack of any kind of track record, he would likely come cheap in any trade if it did not include Gray. Now, Joel Sherman of the NY Post reports that the Yankees are not as high on throwing Alonso in a deal with Gray, but it's something that is still on the table. Alonso is putting together a career-year with a .267/.367/.540 (.907 OPS) slash line with a career-high 21 homers, 45 RBIs and 15 doubles. And as the case with Gray being the perfect pitcher for Yankee Stadium, Alonso is the perfect hitter for Yankee Stadium with his high leg kick and uppercut swing. This season, Alonso has focused on increasing his launch angle while trying to "punish" the baseball. In doing that, Alonso's fly ball rate this season is 47.1%, up from his 34.1% career rate, with 21.6% of those fly balls being homers, compared to a 8.8% career rate. In utilizing a more uppercut swing, Alonso has struck out more (23.9% compared to a career 15.6%) which is the 36th highest percent among qualified hitters, but he also ranks as being tied for 23rd in the league with the most homers. So, Alonso is having his career year because he has not worried about striking out, and instead has prioritized hitting the ball in the air for the first time in his career, which appears to be a sustainable trend. While this looks like a solid prospect haul for the Athletics, you have to keep in mind that the White Sox got the Cubs’ top two prospects in the Quintana deal. Again, Quintana had more value than Gray currently does, but the Yankees still felt like they formed a package that was equivalent to the one the White Sox accepted from the Cubs. That’s four prospects in the top 30 of the Yankees’ system according to MLB Pipeline. The Athletics recently scouted the Charleston RiverDogs and the Trenton Thunder, so it makes sense that Mateo and Park could be in the deal. Although MLB Pipeline just updated their prospect rankings and dropped Mateo from the third ranked prospect to eighth in the Yankees' system, the club is not giving up Torres or Frazier so that makes Mateo the headliner of both packages, regardless. But, it's worth noting that the Athletics are said to wanting to receive a center fielder as the headliner. Mateo has been playing some centerfield in Trenton, but you could swap Estevan Florial for Mateo as the headliner in both packages. The Athletics have also scouted Acevedo, the flamethrower who has dominated in Double-A, but has struggled a bit in Triple-A. Finally, adding Alonso throws Billy McKinney in the deal, who the A's drafted in the first round of the MLB Draft in 2013. All in all, Sonny Gray fits the mold for the exact starting pitcher the Yankees need to upgrade their rotation. Now, he won’t be cheap, but the Yankees can dig into their deep system and acquire Gray (and maybe Alonso) to help the team win now, without compromising the future. And knowing Cashman, he could probably get it done at an even cheaper price than the one I suggested. The Yankees have already been linked to Gray and with many rumors between the two franchises, there’s no reason to think that a deal cannot get done. It would not surprise me if Green or Mitchell or Cessa are included in the deal. I would say Chad Green is not going anywhere as he's found a home in the bullpen. However, I could see Mitchell or Cessa thrown in the deal.